After the “Night of Flames,” suspicious-looking people suddenly began popping up in South Tyrol. These individuals would gain the trust of South Tyrolese only to later denounce them to the carabinieri. In this way, even people who were completely uninvolved were arrested and subjected to severe torture. In early August of 1961, the former S.S. “Oberscharführer” (sergeant) Robert Henckelmann showed up in the Sarn Valley. In Germany, investigations were proceeding against Henckelmann for the murder of slave laborers in 1944. He had found refuge in Italy and was working, under the alias “Franco Spinelli,” in South Tyrol for the Italian intelligence agency. He appealed to farmers to ready themselves for an “insurrection.” Then he vanished, whereupon the carabinieri showed up and arrested 22 persons. The completely innocent farmer Johann Thaler remained incarcerated for nearly three years, and was acquitted by the second court of appeals. He and his three sons had been subjected to severe torture after being arrested. Anton Stötter (who came from Augsburg, Bavaria) had a similar role. Stötter had both a criminal background and a past as a Nazi agent. On behalf of the Italian intelligence agency SIFAR, he gathered the names of patriotic South Tyrolese in Tramin and its vicinity – most of whom had absolutely no connection with the “Liberation Committee of South Tyrol” (BAS). The arrested persons were severely mistreated. It was only a small step from acting as an agent provocateur to committing contract killings. Christoph Franceschini revealed that the Italian agent Christian Kerbler (who came from Austria) had committed, on September 7, 1964, the contract killing of Luis Amplatz, using a service revolver which the carabinieri had provided to him. Plans called for later staging an exchange of fire between the carabinieri and the “South Tyrolean terrorists” Amplatz and Georg “Jörg” Klotz after which the two South Tyrolese would have been found dead. The conspiracy was thwarted when Klotz, who was to be the second murder victim, was able to escape, severely wounded, and flee to Austria. On November 15, 1964, the Italian authorities received a warning that a bomb had been deposited in the baggage car of the Brenner Express. In Brixen, the train was diverted onto a side track and decoupled where the bomb exploded a short time later. In Austria, the police arrested the German Karl Franz Joosten, who had claimed to be a friend of South Tyrol and who had rented a room with the Felder family in Absam, who had also put up the South Tyrolean freedom fighter Georg Klotz. Georg Klotz had been in temporary police custody, and Joosten had exploited the opportunity to take a suitcase belonging to Klotz and labelled with his name and to fill it with dynamite equipped with a timer. He had then checked in the suitcase with the Brenner Express in Innsbruck to send it to Italy. For this crime, Joosten was sentenced in 1965 by an Austrian court to 18 months of imprisonment. As Italian parliamentary investigation reports of the MPs Boato and Bertoldi later revealed, Joosten had committed this crime on the direct orders of the highest police chief in South Tyrol, the Questor Alitto Bonanno, in order to publicly discredit the BAS activists and turn public opinion against them. The goal was to portray the activists as unscrupulous murderers. In order to further smear the South Tyrolean activists, the Italian agent Robert Kranzer (from Klobenstein) deposited a non-functional bomb in an Italian residential dwelling – the “bomb” was then “found” by the carabinieri on May 20, 1965, with the Italian press there to witness it. This spectacle was intended to portray the South Tyrolean freedom fighters as common murderers. But these incidents were only skirmishes compared to the alleged “Porze Gap Attack” as the result of which Austro-Italian relations reached their nadir. According to the official Italian account – which Austria adopted in a cowardly fashion – on June 2t5, 1967, four Italian soldiers died due to explosive booby-traps. Peter Kienesberger, who was known from his involvement in earlier BAS actions – was accused of the crime. Kienesberger had been seen together with the physician Dr. Erhard Hartung and the Austrian army soldier Egon Kufner in the night from June 24 to June 25, 1967 near the scene of the crime. In a trial conducted against them and others in Florence, Kienesberger and Hartung were sentenced to life imprisonment, and Kufner to 24 years of incarceration. The accused were sentenced in absentia and were based on laws dating back to the Fascist era. These judgements were never revoked, and are still in effect. In contrast, the three defendants were found “not guilty” on May 18, 1971 in Austria. Later, the District Attorney succeeded in having the case re-opened, but at the behest of then-Minister of Justice Christian Broda (SPÖ), it was nullified by then-Federal Chancellor Rudolf Kirchschläger after the “not guilty” verdict and the proceedings terminated in May of 1975. In spite of the District Attorney’s great efforts to prove the guilt of the defendants, the previous “not guilty” verdict was upheld – ultimately due to the defense attorney’s main argument, supported by an expertise, according to which the act could not have been carried out in the supposed timeframe. To do this, the defense counsel had presented a path-time diagram which succeeded in convincing the jury to give the defendants the benefit of the doubt. Hubert Speckner had undertaken many years of research work on the basis of all Austrian police reports, judicial documents, and secret (at least up till then unseen) files and demonstrated that the “Porze Attack” could not have been genuine. And: Like other suspicious cases that were all attributed to the BAS, it fit perfectly into the “Strategy of Tension” that dominated the South Tyrol Problem. 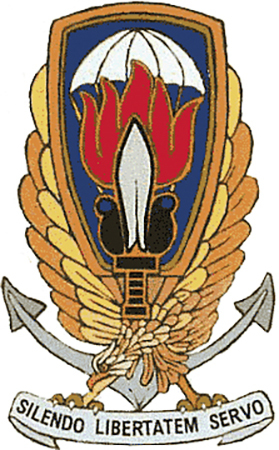 The “strategia della tensione” (“Strategy of Tension”) was the attempt of conspiratorial circles organized in secret societies having a neo-Fascist character (e.g., the “Ordine nuovo” or the “Avanguardia Nazionale”), but also with the involvement of sections of the SIFAR, SID, and SISMI intelligence agencies and the military’s secret “Gladio” network, to prepare Italian society for the introduction of an authoritarian regime (thankfully, they did not succeed). stake – as the Italian torturers in South Tyrol who boasted to their victims that they had been given “carte blanche” and a “free hand” by their superiors (in this case, by the then-Minister of the Interior Scelba) to do as they pleased – their behavior can breach legal restrictions – of which there is no lack in democratic Italy. These agencies make use of false identities to deceive others about their true objectives. They conspire, provoke, and above all else wish to present untruths as truths. It was thus inevitable that they should also attempt (and sometimes succeed) in executing “false-flag” attacks. In doing so, they pursued their goals unscrupulously, and without any regard for the cost. One of the goals of the Italian agencies was to carry out “false-flag” attacks in order to discredit the South Tyrolean freedom fighters and so – not without the knowledge and approval, or even on the orders of political figures – so as to apply political pressure to Austria. But the involved or even leading members of the Gladio network were also part of the secret Italian “stay-behind” units who had an additional nefarious interest in thus exacerbating tensions, creating a hostile image, and exploiting the activities of the South Tyrolean freedom fighters to destabilize society. In the context of the “Strategy of Tensions,” it was thus not at all uncommon to execute “staged” (attempted) attacks. “Gladio” (an Italian word derived from the Latin “gladius” = “sword”) was part of the paramilitary “stay-behind” secret organization of NATO, the CIA, and the British MI6 during the Cold War. In the event of a Soviet invasion of Western Europe, the members of Gladio were to stay behind and carry out guerilla warfare and sabotage. The organization existed between about 1950 until at least 1990 (in Western Europe, in Greece, and in Turkey). One of the most spectacular attacks of Italy’s Second Republic occurred on September 23, 1963 at Lake Eben. Shortly after six o’clock in the morning, the first bomb destroyed the “Stone Lion Monument” in the Traunsee-Ufer Street. A little later, the conductor of the Feuerkogel aerial cableway discovered another bomb on the roof of his gondola, which was full of schoolchildren. Fortunately, it was possible to defuse the bomb in time. However, a third explosive charge which had been attached to a container at the Lake Eben Saline exploded during the attempt to disarm it – as a consequence of which a member of the provincial constabulary of Linz was killed and eight constables, a district attorney, a judge, and the secretary of the district court of Gmunden were injured. A fourth and fifth bomb did not go off. All of the clues pointed to Italy. The explosive was of a type commonly used by NATO forces and was of Italian origin, as were the clocks used as timers – a clock of the same model had been used for the attack on the Andreas Hofer Monument at Berg Isel in Innsbruck on October 1, 1961 (an obvious link interpreted by the Italians to mean that attacks need not be limited to South Tyrol). Witnesses recalled seeing a Fiat with a Verona license plate number, and membership cards for the Neo-Fascist student group “Associazione Studentesca di Azione Nazionale” (A.S.A.N.) were found at the scene of the crime – the cards were stamped with “I carabinieri non si toccano” (“Hands off the carabinieri”). Almost thirty years later, an item of concrete evidence was found that the Italian intelligence agency could have been involved in the planting of the bombs at Lake Eben. In the summer of 1991, the police found on the person of Giancarlo Masiero, a militant member of the Italian Neo-Fascist party “Movimento Sociale Italiano” (MSI), a partially handwritten and partially typed “memorandum” with numerous clues about the activities of intelligence agencies in South Tyrol in which the MSI was involved. According to the memorandum, the attacks against the homes of the MSI politician Andrea Mitolo and of the local party chairman of the “Democrazia Cristiana” (DC) in January of 1987 had been carried out by the MSI itself in order to garner sympathy and win more votes in an upcoming election; Party Chairman Gianfranco Fini himself gave the order. During the parliamentary elections of June 1987, the MSI was indeed able to more than triple its mandate. At that time, the Green Party provincial MP Alexander Langer had already stated in an interview by the magazine “profil” (1985, issue 25) that intelligence agencies were assumed to have been behind the attacks. Nevertheless, the District Attorney of Bozen dropped the investigation of Masiero, who when interviewed by the authorities admitted that he had copied some of the memorandum from newspapers and invented other parts. But this admission was still subject to grave doubts: The “Masiero Memorandum” contained a “wealth of historically founded facts and information that was not necessary a matter of public record.” Thus, Masiero mentioned in particular the “Ufficio R” (“R Office”) of the “Servizio Informazioni Forze Armate” (SIFAR) Italian intelligence agency which was in charge of Gladio. Fearing an “insurrection like the one led by Hofer,” the office had arranged numerous meetings between Andrea Mitolo and a General of the Italian Army. “Ufficio R” had only become common knowledge in 1991, when Gladio was uncovered. But Masiero had already composed his “memorandum” in August of 1990, in which he reported details of the operations carried out by “Ufficio R” in South Tyrol. These details included mention of a “cache of weapons in the passageways below Sigmundskron Castle” that was relocated after weapons and explosives had disappeared and training sessions (held in the Sarn Valley Alps) in the use of weapons and explosives by parachutists – from whom most of the South Tyrolean “Gladiators” were recruited. These members were included in a list with the names of 535 of Gladiators still alive at that time; the RAI broadcasting station reported on this on January 6, 1991, and the complete list was published in “La notte dei gladiatori, omissioni e silenzi della Repubblica” (Calusca Edizioni”, Padua 1991/92). Under the headline “Group Activities 1961/1968 – Attacks” in the “Masiero Memorandum,” there was also the cryptic entry: “Quarters for the Austrian Action (Poltronieri Case), aerial cableways, explosives and base in Innsbruck, apartment of known suppliers of healthcare items (Conti Veneziani).” On the basis of the name, it could only have referred to the Lake Eben attack: Sergio Poltronieri was one of the five terrorists. The phrase “aerial cableways” most certainly referred to the bomb planted in the Feuerkogel cableway gondola. On the basis of Masiero’s statements, one can reliably conclude that the terrorist attacks carried out by right-wing extremists at Lake Eben and the attack against the Hofer Monument in Innsbruck received logistical support from “Gladiators” operating in South Tyrol, and that the actual conspirators behind the scenes in SIFAR’s “Ufficio R” had masterminded everything. “An involvement of state and semi-governmental interests pursued by ‘Gladio’ and the Italian intelligence agency as the behind-the-scene conspirators and making use of terror and counter-terror is difficult to dismiss,” was the concise conclusion reached by State Archivist Rudolf Jeřábek in the periodical “Public Security” (issue 1-2, 2006, pg. 42) published by the Federal Ministry of the Interior. The daily newspaper “Corriere della Sera” later asserted that the attacks were personally ordered by General Giovanni De Lorenzo in order to dissuade Austria(ns) from intervening in South Tyrol. Research carried out by a completely unsuspicious Italian enjoying an excellent reputation and the findings of a parliamentary investigation all indicated that these organizations had often been involved in the bombings in South Tyrol of that era. But these efforts did not result in a reopening of the proceedings in Florence (in which the Austrian defendants were convicted in absentia, and with reference to Fascist laws signed by Mussolini on December 1, 1971), nor did they serve to modify Italy’s stance with regards to the historical and political consideration of the bombing era in South Tyrol. For Peppino Zangrando, the President of the Belluno Bar Association, the “Porze Gap” case – in which he had conducted years of investigations – was by no means clear. According to his findings, members of the Italian intelligence agency and/or members of the aforementioned groups of conspirators could have committed the attack. However, he does not believe that the BAS – i.e., one involving Kienesberger, Hartung, and Kufner – was responsible. Further, the “letter claiming responsibility” supposedly penned by the BAS which the Austrian commission member Massak found at the Porze Gap sounds as though it had been written by someone with a poor command of the German language, noted Zangrando. In 1994, he wanted to reopen the case, but the district attorney’s office denied his application. Casson’s revelations triggered a state crisis in Italy. In the context of a subsequent parliamentary investigation, the Italian Prime Minister Giulio Andreotti stated that Gladio also existed in numerous other European countries. This admission resulted in a pan-European political scandal. As a result, parliamentary inquiries were made in several other countries. In Italy, Belgium, and Switzerland, investigatory commissions were established. The investigatory commission on terrorism and massacres (1994–2000) convened by the Italian Senate concluded: “These massacres were organized or supported by persons in institutions of the Italian state and by men in contact with American intelligence agencies.” After a debate held on November 22, 1990, the European Parliament issued a strongly worded protest to NATO and the involved intelligence agencies. East Germany, too, had “stay-behind” troops. 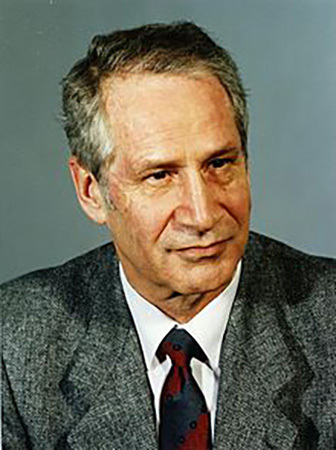 Of course, in East Germany, they were called “partisan organization,” not “stay-behind.” Starting in 1955, Markus Wolf was responsible for this section – which had the internal administrative name “Department for Special Tasks” (AzbV) – within the “National People’s Army” (NVA). Then, like in the west, this department was transferred (in the early and mid-19602) from the responsibility of the military to that of the intelligence agency. Later, it received the not-less-threatening designation “Working Groups of the Minister / Special Tasks” (AGM/S), with three bases outside of the capital. Finally, shortly before the Berlin Wall came down in 1989, it was integrated into the main department of the burgeoning Department XII “Anti-Terror.” The AGM/S was tasked, inter alia, with carrying out bombings – especially in West Germany, but not only there. The “Stasi” (“Staatssicherheit” = “State Security”), which was ultimately in control of this department, had trained 3,500 individual agents in guerilla warfare and sabotage. The head of this department was Markus Wolf, who was frequently underway in Vienna (though incognito). As of yet, there has been absolutely no research to determine the extent to which the East German Stasi was entangled in these affairs. In the framework of my project “The Stasi and the South Tyrol Conflict,” I was able to examine diverse packages of files from the voluminous archives of the “Federal Commissioner for the Records of the State Security Service of the former German Democratic Republic” (BStU) in Berlin. After doing so, I came to the following provisional conclusions: In the context of the South Tyrol Conflict, the East German “Ministry for State Security” (MfS) – which viewed itself as the “Sword and Shield of the Party” and which thus acted as the executive agent of the totalitarian “Socialist Unity Party of Germany” (SED) and its doctrinal “Antifascism” – was interested chiefly in “proving” and “demonstrating” to the world public an “influence of West German revanchist forces” (frequently described as “Bonner ultras” – meaning government ministers, ministry officials, top-level members of the judicial branch, and politicians belong to the leading parties such as the CDU, CSU, SPD, and FDP) on developments between Vienna-Innsbruck-Bozen and Rome. To do this, the Stasi utilized informers recruited and led by Stasi officers – “Social Informants” (GMs) and “Unofficial Informants” (IMs) – as well as full-time agents working directly for the Stasi. Corresponding guidelines can be inferred from the instructions of the Politburo member (1958-1981) and State Council member (1976-1981) Albert Norden after the “Night of Flames” of 1961 and the trials in Milan against arrested BAS members based on it and on further attacks carried out by the BAS. In the Politburo, the one-time journalist Albert Norden was in charge of agitation, and he was the head of the commission on the “Reappraisal of War and Nazi Crimes.” The goal of making a pan-Germanic conspiracy against Rome allegedly under the direction of Bonn and Munich seem credible should be seen in the context of discrediting West German politicians by proving (on the basis of true or falsified evidence) that they were “enmeshed in the Nazi regime.” Ultimately, this would at least disturb, if not undermine, the relationship between these two members of NATO and the E.C. The false construction of an alleged cooperation of “Paleo-Nazis” and “Neo-Nazis” [in the East German jargon, “Nazi” was equivalent to “Fascist”] from West Germany, Austria, and (South) Tyrol with South Tyrol (where the actual conflict was taking place) and northern Italy as its operational zone. The recruitment and the deployment of suitable Stasi agents as well as of GMs and/or IMs served primarily to collect information as well as to plan and execute discrediting and disinformation campaigns (catchword: Pan-Germanism). These Stasi agents, GMs, and/or IMs were then ordered to target Paleo- and Neo-Nazis as well as the members of right-wing extremist organizations –in West Germany, e.g., the “German Imperial Party” (DRP; 1950-1965) under Adolf von Thadden, later the “National Democratic Party of Germany” (NPD); in Austria, e.g., the “National Democratic Party” (NDP) founded by Norbert Burger. Of course, it hardly needs to be added that, in view of this tangle of interests, double agents and triple agents were common.